User Interface and User Experience are important in IT, especially in IT Service Management tools. Intuitive and easy-to-use tools will ensure that both your users and your staff are making the most of your investment and getting the best results. A generation of users expect consumer-like experiences at work and meeting their needs will promote higher self-sufficiency. 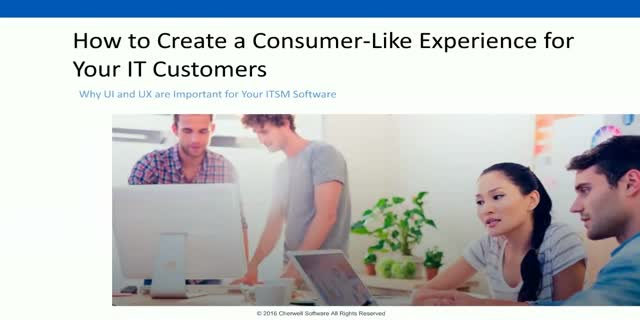 In this webinar, George Spalding of Pink Elephant and Cherwell ITSM experts discuss how to choose the right ITSM tool to increase customer satisfaction and improve results.